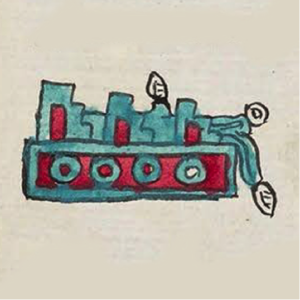 Ethnohistorian Lidia E. Gómez García (Benemérita Universidad de Puebla, Mexico), will speak about colonial manuscript production (alphabetic and pictorial) by Nahuas, the ethnic group that included the Aztecs, during roughly three centuries, from 1540 to 1830. 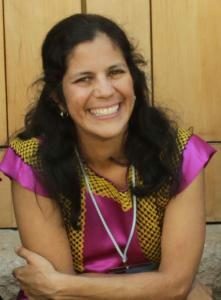 She will discuss how Nahua scholars have become engaged in the serious study of these fascinating indigenous-language manuscripts, thousands of which survive to this day. Sponsored by the Departments of History and Romance Languages, Latin American Studies, and the Center for Latino/a and Latin American Studies. Please join us for the CLLAS Inaugural Lecture in Latinx and Latin American Studies with Judge Yassmin Barrios. 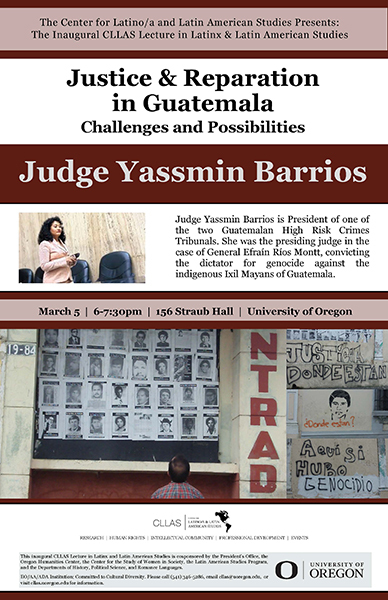 Judge Barrios will deliver her address, “Justice and Reparation in Guatemala: Challenges and Possibilities,” in 156 Straub Hall at 6pm on Tuesday, March 5th. Judge Yassmin Barrios is president of one of the two Guatemalan High Risk Crimes Tribunals. She was the presiding judge in the case of General Efraín Ríos Montt, convicting the dictator for genocide against the indigenous Ixil Mayans of Guatemala. Sponsored by the Center for Latino/a and Latin American Studies and cosponsored by the President’s Office, the Oregon Humanities Center, the Center for the Study of Women in Society, the Latin American Studies Program, and the Departments of History, Political Science, and Romance Languages. Editor’s Note: CLLAS affiliated faculty member Stephanie Wood will lead schoolteachers along the Lewis and Clark National Historic Trail. October 30, 2018—Next summer, 25 schoolteachers will embark on a 550-mile expedition along the Lewis and Clark National Historic Trail to uncover new knowledge: how to better integrate Native American histories into their curriculum. The trip is part of an initiative led by the UO’s Stephanie Wood to help educators create a more balanced and judicious approach to the nation’s history by weaving the experiences of indigenous peoples into their teaching. 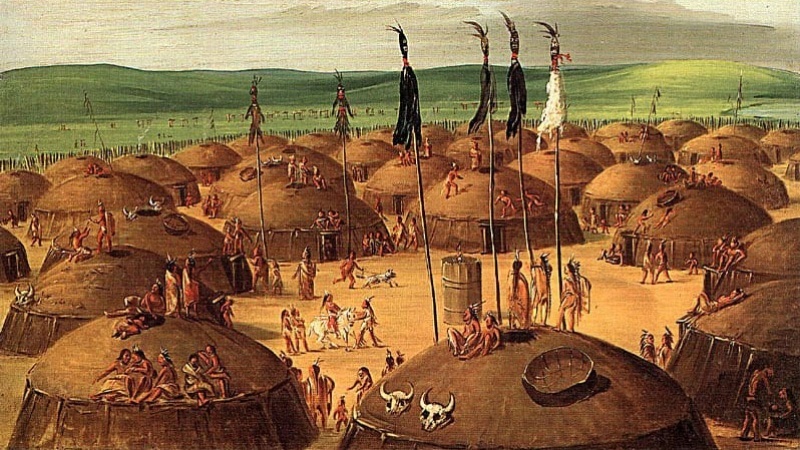 Wood, a research associate in the College of Education, was awarded $179,247 from the National Endowment for the Humanities to support the Discovering Native Histories Along the Lewis and Clark Trail summer institute. 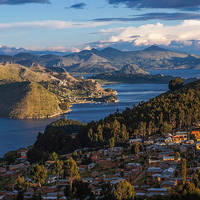 Come talk with UO professor Derrick Hindrey about indigenous communities in Bolivia! This program will focus on concrete contemporary topics, including indigenous peoples and climate justice; hydrocarbons development and conflicts on indigenous lands; legal developments and challenges; natural resource management in indigenous territories (e.g. community-forestry); development encroachment; transnational indigenous environmental movements; conservation of biodiversity related to indigenous peoples’ intellectual property rights; mining and dams; and finally indigenous agroecology.